Real Estate devoted to the sale and rental of properties in Guardamar del Segura and surroundings, providing full real estate advicing and offering a broad range of after-sales services. Here in Naranja Spain we are experts in the sale and rental of all types of housing and properties along the whole Guardamar area. Places such as La Mata, Torrevieja, Rojales, Los Montesinos, Benijófar and other places around Costa Blanca could be the right choice if you are looking for your dream house next to a beautiful beach or a golf course, we have exactly what you need. Take a look at our full online property catalog, there you´ll find a great variety of properties for sale, from apartments to villas, duplex, bungalows, newly built and second hand houses. Company values are important to us, we care to be close, honest and profesional with all our customers. We focus in providing a full and personalised real estate service that meets your needs. We welcome all nationalities by having a prepared team that speaks your language, because we want to make you feel like home. Comprehensive (FULL, COMPLETE) assistance in searching for your new property. Not only through our consultingyou´ll find your dream house but also you´ll receive the right advice and solutions in all aspects,specially regarding the Spanish real estate market. For us your understanding of the area is essential, for that we´ll give you a tour and show you on site the properties you are interested in. Next to you from the beginning and after your purchase. Here in Naranja Spain we want to simplify your journey. That´s why we monitor in-depth each of the steps involving the purchase of your property, we keep you updated with the entire process and you´ll have all the information you need in your own language. Making it easier for you involves doing authorised transactions on your behalf such as obtaining your Foreigner Identification Numer (NIE), opening a bank account or applying for your bank loan. After your property purchase our servicies don´t end there because crucial aspects need to be taken care of, setting up your utilities –electricity, water, internet and being up to date with your council tax obligations. Naranja Spain wants to go further with our after-sales services by giving you the option to decorate, re-design or refurbish your new home. And even if you wish, during period of absence we can rent and look after your property. If you are interested in renting a property close to the beach toeither spend your holidayin the sun or to live for a long season the spanish life, Naranja Spain also deals with lettings along Guardamar, Rojales, Ciudad Quesada, Torrevieja, los Montesinos and surroundings. Our job here involves to find the right house for your stay, to fully assist you with the relationship with the owner of the property by making sure the lease contract has the appropriate terms for you and to follow up your stay making sure everything is good. 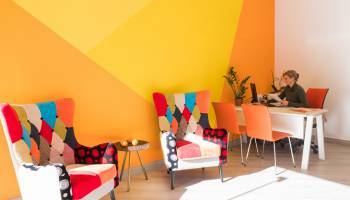 You are more than welcome to come to our office in Guardamar , our consultants will happilyassist youand we´ll make sure your needs are covered. If you can´t pop in give us a call or if you prefer you can contact us through our website. Because if you are looking for your dream house in Costa Blanca we will find it. Naranja Spain has exactly what you need.